London may be in the middle of a heatwave, but that hasn’t stopped us dreaming of jetting off to relax poolside or sunbathe on the beach! Holiday season is here and we want to introduce our travel guide to some of our favourite summer destinations. 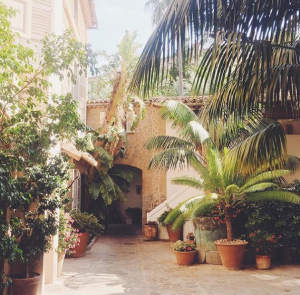 First up, as part of the Balearic Islands in the Mediterranean, Mallorca. 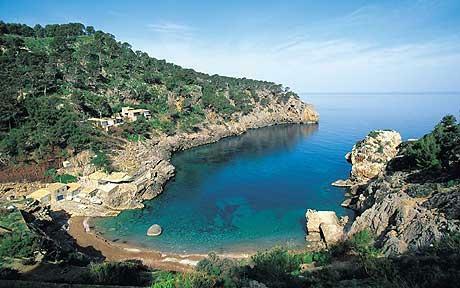 Just under 2 hours from London, Mallorca is an ideal getaway for a long weekend or summer holiday. This beautiful island has a rustic charm largely unspoilt by commercial growth and tourism you’re more likely to find on mainland Spain. To really get to know the island we would recommend hiring a car giving you freedom to explore. 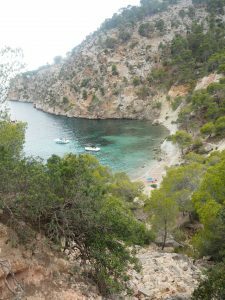 The beauty of Mallorca is discovering it’s hidden beaches and coves along the coastline and stopping off as you please. 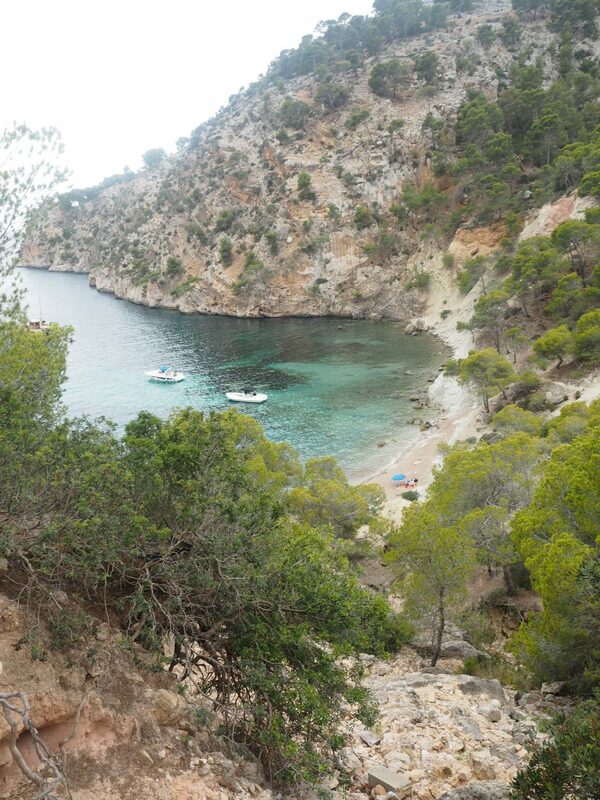 One of Mallorca’s many hidden coves & beaches. 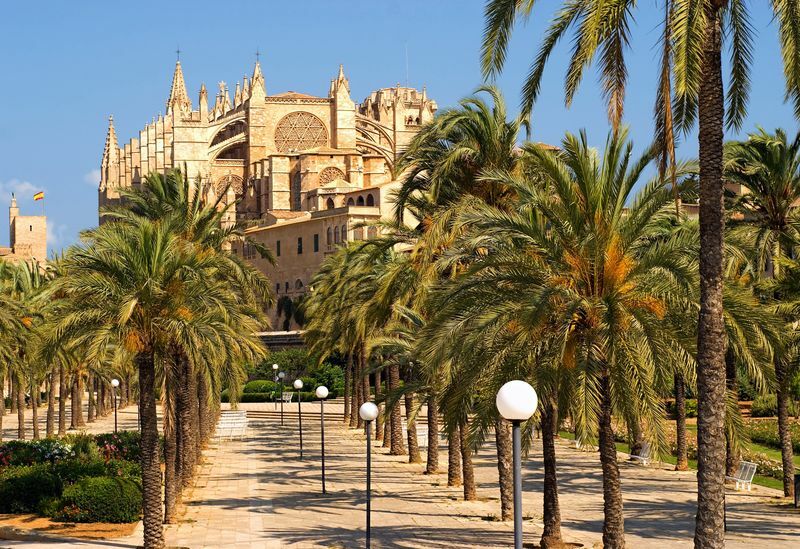 Allow a day visit to the capital city of Palma where there is plenty to see. 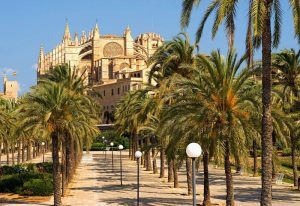 La Seu is situated in the city’s old quarter and is Palma’s most famous cathedral with architect Gaudi being part of it’s restoration. Step inside to enjoy a moment’s calm and escape the hustle and bustle of the city. Le Seu Cathedral, Image credit: p-robinson.com. This beautiful building overlooks the Parc de la Mer where you can wonder around the lake or people watch on one of the benches. 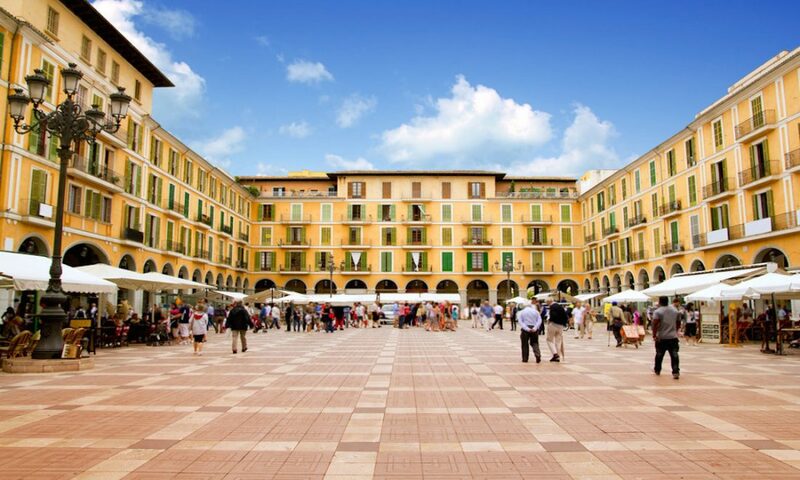 If you’re seeking something more lively the city’s old quarter offers a range of shops, cafes and squares to enjoy whilst wondering through winding lanes and streets, they even have a Sephora so stock up on your beauty must haves! If you want more art and culture, there is a foundation dedicated to the artist Joan Miro who spent the best part of 30 years living in Mallorca, just west of Palma, and you can also see one of his murals close by to Le Seu. 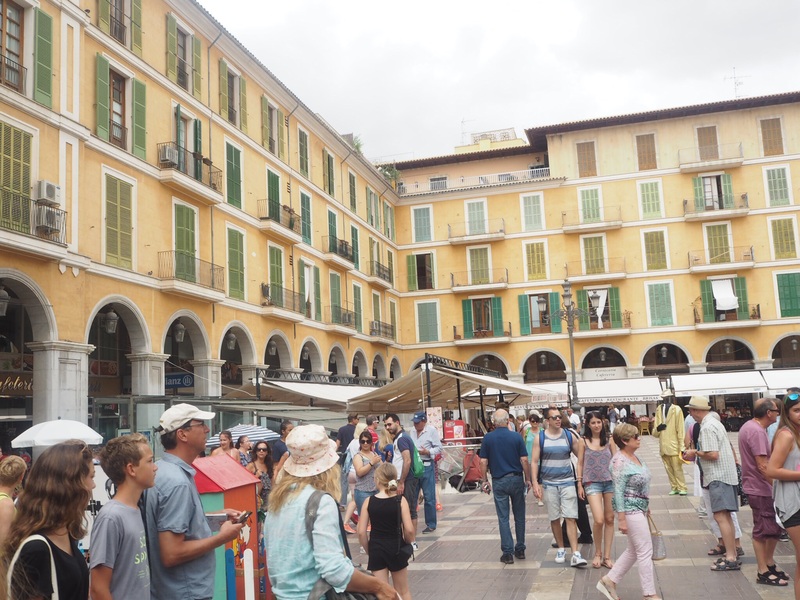 There are also several other art galleries featuring Spanish artists and contemporary art. 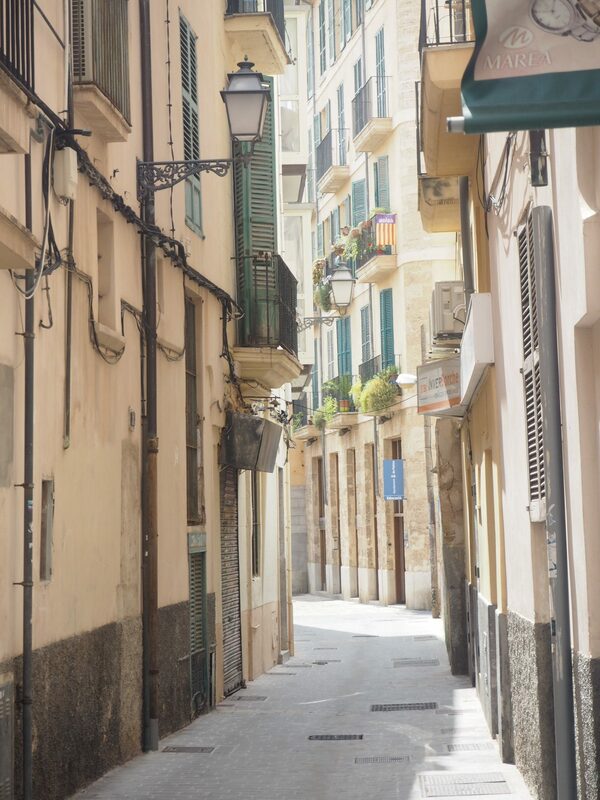 Winding streets in Palma’s old quarter. 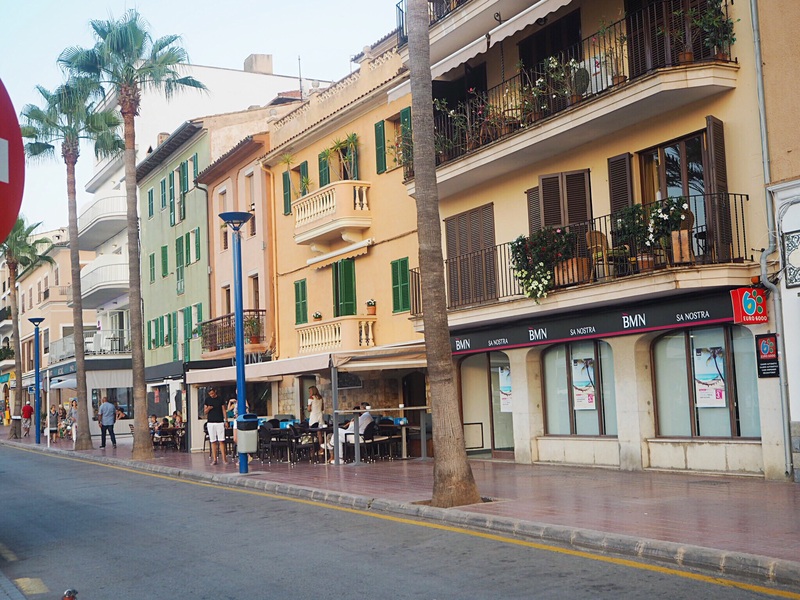 Port d’Andratx is a glamorous port west of the capital Palma, and is the perfect spot for evening drinks and watching the boats on the waterfront. There are plenty of bars and restaurants to choose from to soak up the relaxing atmosphere. For the ultimate in luxury and relaxation choose the Belmond La Residencia hotel in the beautiful town of Deia. This hotel is positioned on the hillside with stunning views overlooking the town of Deia and surrounding areas. Ideal for a romantic getaway or spa break, you will never want to leave this stunning hotel! 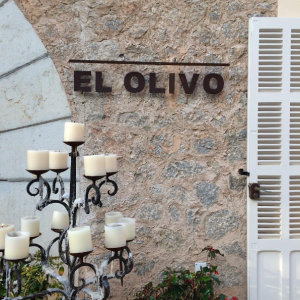 The hotel also boasts the award winning El Olivo restaurant set in the most magical setting. There is so much charm, that every corner could be a postcard – Instagram heaven! Visit for the evening to enjoy cocktails on the incredible terrace at the front of the hotel with breath taking views, and then wonder into Deia for dinner. 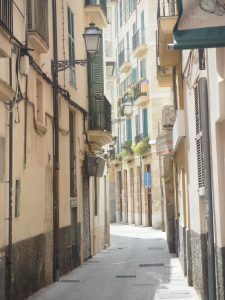 Deia is a wonderful source of inspiration for artists with lots of pretty streets and buildings around every corner. Another special spot on the island is the secluded beach of Cala Deia, with clear blue waters and rock pools surrounded by rocky coves. A favourite with the locals as well as tourists don’t expect sandy beaches, instead plenty of rocks but this is all part of it’s charm! There is a restaurant called Ca’s Patro right on the cliffside overlooking the entire cove, well worth a stop off for lunch whilst enjoying the views -book in advance during the summer season. 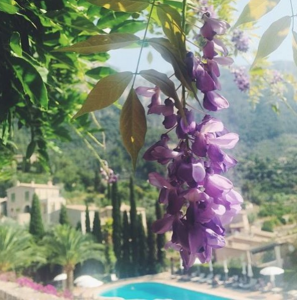 Other day trips on the include Soller near the north west coast of Mallorca famous for its orange groves and terraces of ancient olive trees and Pollenca in the North of the island which has the most breathtaking mountain and sea views. 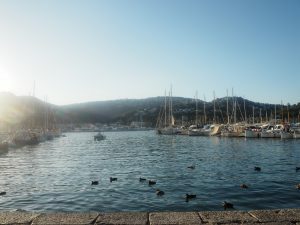 We hope this post has inspired you to do some further research into Mallorca or even book a trip! We can imagine that you won’t be disappointed by its charm, beautiful scenery of coves and mountains and unspoilt rustic beaches! Purelogy Strength Cure Fabulous Lengths Treatment – perfect treatment for colour treated hair after a day at the beach. Shop here. Zara off shoulder denim dress, shop here. Leighton Denny nail polish in Morning Dew shade. 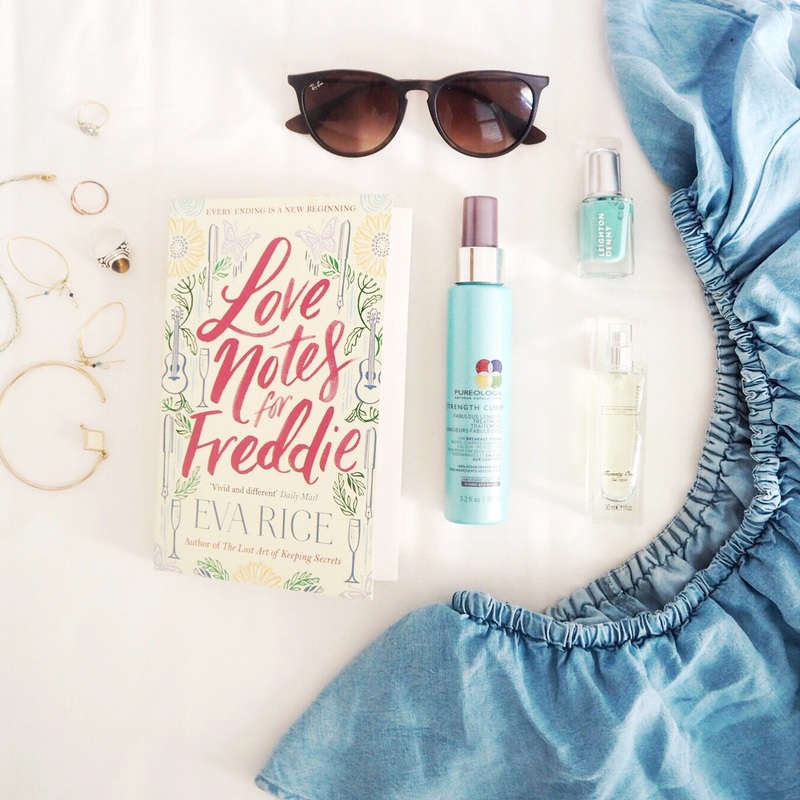 Holiday read- Love Notes for Freddie by Eva Rice, pick yours up at the airport!